You know that feeling you get when you ride a roller coaster? The breathless anticipation, followed by the shrieking joy and terror as you plummet down to the bottom? 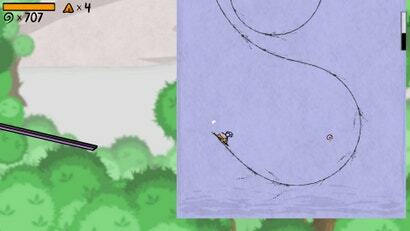 That's the feeling I get when I ride the pen in Super Fancy Pants Adventure, an action-packed sidescrolling platformer.